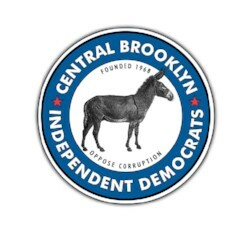 A smaller version of the newsletter of the Central Brooklyn Independent Democrats that you already know and love! Well friends, we're finally here. We've been organizing around this election for 2 years. We've been learning, teaching, listening, protesting, calling, canvassing, petitioning, and so much more. We've grown our club, we've grown our reach, and we've worked with more and more people. So many within this club have been so much time and energy into making elections more accessible to everyone. Let's not lose steam at the last minute. As we know, the last few hours of an election can sway handfuls of voters here and there, and we know that can make the difference. Make that one extra phone call. Knock that one extra door. We're almost there. And we'll all be celebrating together on Tuesday. Canvassing and Phone Banking for Andrew Gounardes. 9AM-8PM. 311 86th street, OR 7321 15th Avenue, 2952 Avenue R OR 172 Gravesend Neck Road. Sign up here or just show up! Park Slope Phone Banking for Andrew Gounardes. Email ericacbid@gmail.com for exact location. Canvassing for Max Rose. 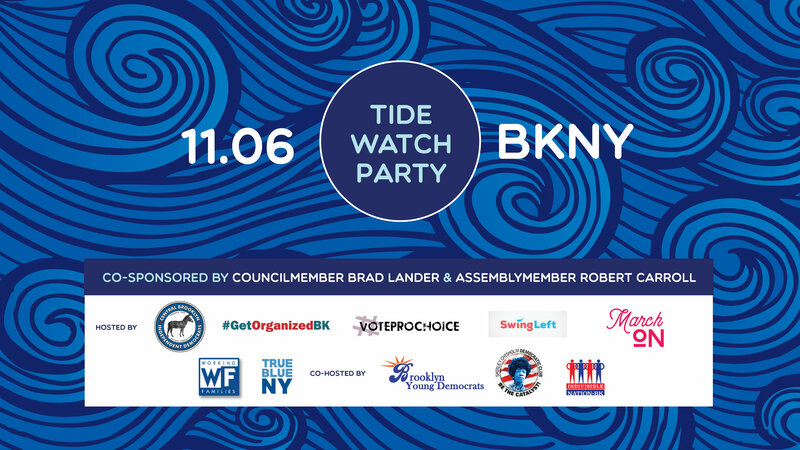 Hosted by RunNYC, INBK and Red2Blue. 10AM-4PM. Sign up here. Canvassing for Andrew Gounardes. Hosted by RunNYC. 10AM-3PM. Sign up here. Canvassing for Liuba Grechen Shirley Leaving Brooklyn at 10AM. Sign up here. Phone and Text Banking for Max Rose Liuba Grechen Shirley and Andrew Gounardes, 9AM-7PM. Acme Hall Studios, 435 9th Street, Brooklyn. NO DROP INS -- you must sign up here. You’ve texted, made calls, wrote postcards, and gave countless donations - now honor the work you did for the midterm election with friends and fellow activists and join us for the 2018 midterm election returns event! Time: The evening starts at 8pm with comedy, music, and special guests. At 9pm we’ll turn it over to the big screen as we watch the results roll in and see how high we can get that blue wave to crest. The custody battle of Chavie Weisberger, described in an article in The New York Times on May 25, 2018 (https://www.nytimes.com/2018/05/25/nyregion/orthodox-jewish-divorce-custody-ny.html), presents a disturbing and homophobic line of questioning and actions by State Supreme Court Justice Eric Prus. Ms. Weisberger was divorcing her ultra-Orthodox Jewish husband after coming-out as lesbian and leaving the ultra-Orthodox fold. Justice Prus ruled that she should lose custody of her children, largely because she chose not to raise them according to Hasidic customs. A New York State appellate court later ruled that Justice Prus erred in making religious observance the paramount factor when deciding custody of children. The appellate court also stated that Justice Prus violated Ms. Weisberger's constitutional rights by requiring her to pretend to be ultra-Orthodox when with her children in order to spend unsupervised time with them. Although reversed on appeal, Ms. Weisberger’s case and the actions of Justice Prus are still reverberating through New York courts that handle divorce and custody matters for the state’s hundreds of thousands of ultra-Orthodox Jews. This year, Judge Prus appears on the ballot for re-election to the 2nd District of the Supreme Court in Kings County. He did not run in this year’s Primary, and this is the public’s first chance to deny him re-election. On November 6th, we will be asked to vote for up to 7 candidates to this position, and 11 names will be listed. Justice Prus is listed on the Democratic, Republican and Conservative lines, 3 are on the Working Families Party lines, and 7 are listed on the Democratic line - including Judge Prus. As we understand it, the 3 candidates on the WFP line are ‘filling the line’, and don’t intend to fill the seats, but will remain on the ballot. As Progressive Democratic Reform clubs, we promote the advancement of the Democratic party. We fight for Democratic values, and we support candidates who represent those values. While we acknowledge this election is an historic one, and we must elect as many Democrats as we can; we cannot stand by while someone like Judge Prus retains power. We are encouraging all Brooklyn voters to only vote for 6 judges. Now more than ever we need to vote with our values, not just with politics.